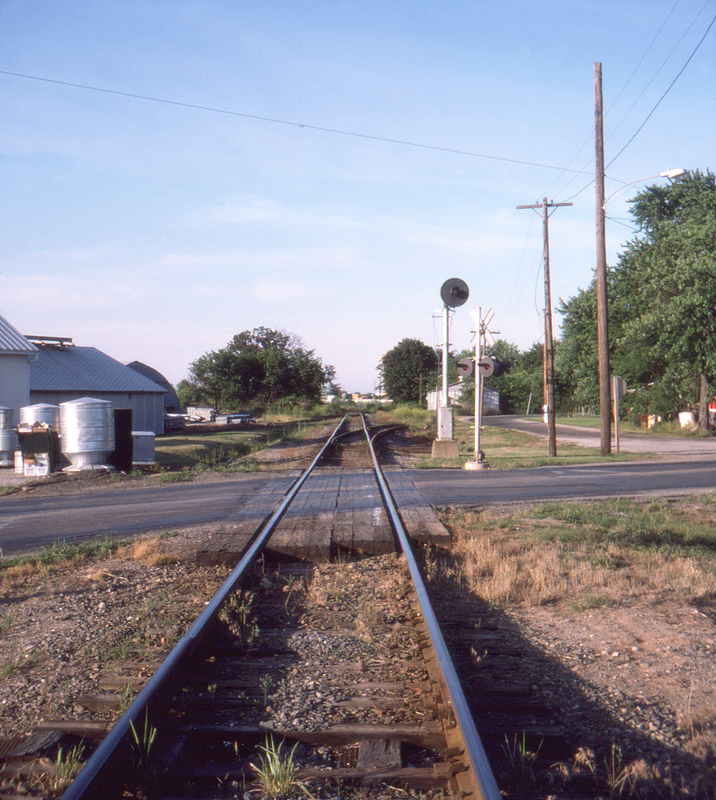 The Missouri-Illinois Railroad, seen here crossing Illinois Route 15 at Nashville, Illinois, ran from Bismarck, Missouri to Salem, Illinois, with a branch to Riverside, Missouri. At Nashville it crossed the Louisville & Nashville's East St. Louis line from Evansville; presumably the searchlight signal here is a distant signal for the crossing. This view is looking northeast.